Scrat gets into the act again. This time it's an ode to cinema past. A silent movie trailer for the new Ice Age film. 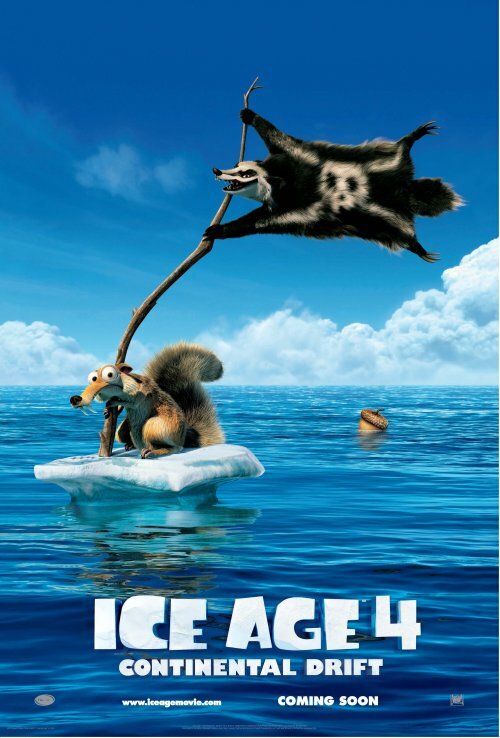 One of filmdom’s most beloved trios – “Ice Age’s” Manny, Diego, and Sid – embark upon their greatest adventure after cataclysm sets an entire continent adrift. Separated from the rest of the herd, they use an iceberg as a makeshift ship, which launches them on an epic seafaring quest. Manny and the gang are challenged like never before to become heroes and do the impossible, as they encounter exotic sea creatures, explore a brave new world, and battle ruthless pirates. Scrat’s reunion with his beloved but cursed acorn catapults him to places no prehistoric squirrel has gone before. Hitting UK cinema screena July 6, 2012 from Twentieth Century Fox.